Nothing looms larger than the Declaration of Independence and the United States Constitution in the pantheon of great American texts; they are the foundation of the nation. These documents seem chiseled in stone, modern-day Ten Commandments. But what is often overlooked is that these two texts were both crafted by individuals. Certainly many in today’s world recall the names inscribed, but behind their signatures were men with unique thoughts and beliefs. These founders sought to shape the nation, but they did so based on personal and collective understandings of liberty and freedom forged by oppression and war. They were individuals drawn together in a common cause that had lasting consequences. The Robert D. Farber University Archives & Special Collections Department is home to another gathering of these patriots’ thoughts in the Signers of the Declaration of Independence Collection and the Signers of the United States Constitution Collection, which together contain over one hundred autographed documents from virtually all of the key American founders. The gift of Elise O. and Philip D. Sang (the latter of whom, among his many other honors of note, was a founding member of the Brandeis Bibliophiles), these texts began arriving at Brandeis University in the early 1960s, before being completed as a set in the early 1970s in time for the national Bicentennial, when they were placed on public display, complete with Boston press coverage. (1) Today, the original documents remain open to all—delighting students, faculty, staff, and researchers alike. 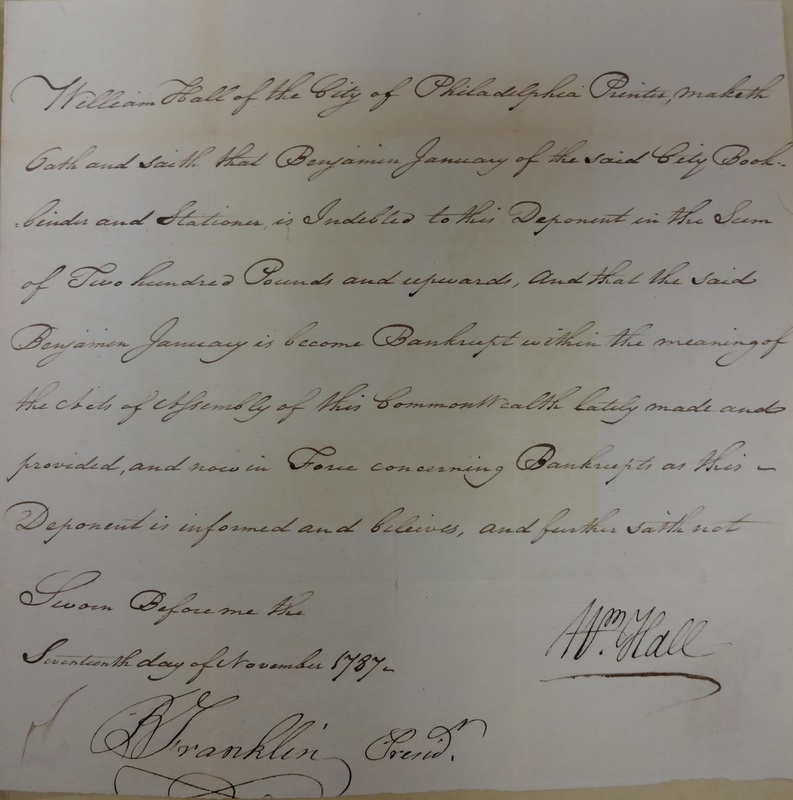 While eye-catching enough just for the famous autographs, including those of John Adams, Benjamin Franklin, Thomas Jefferson, George Washington, and, naturally, John Hancock, the collections’ true prominence lies in their vast samplings of full documents and manuscripts penned by the signers’ own hands. Much more than brief handwriting snippet or historical relic, many of these documents provide a glimpse into the minds and experiences of these important individuals. Even a cursory examination of the collections reveals documents filled with tangible research possibilities across diverse regional divides. 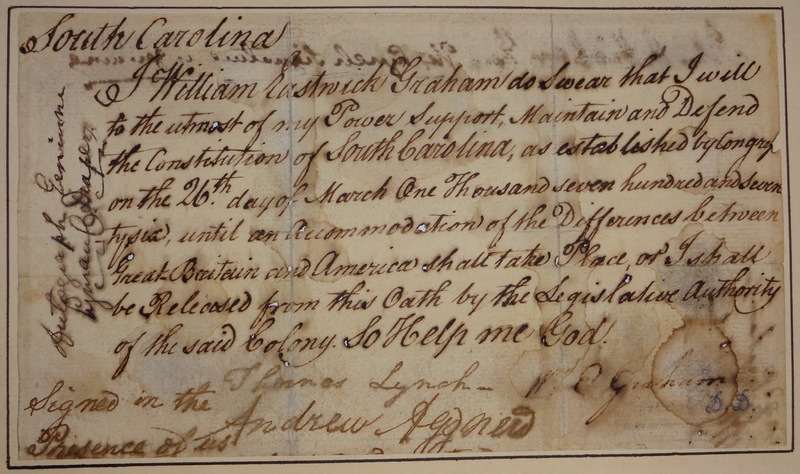 From the oath of loyalty given by Thomas Lynch, Jr. (a South Carolina delegate), to fellow Continental Congress member Arthur Middleton’s instructions to the peace commissioners in France, we see personalized and chronologically advancing portraits of the Revolutionary War. In Boston during 1778, Massachusetts delegate Robert Treat Paine worried about what to do with the British prisoners of war from General John Burgoyne’s army (acquired after the American victory at the Battle of Saratoga), fearing that they could rise up during an invasion. 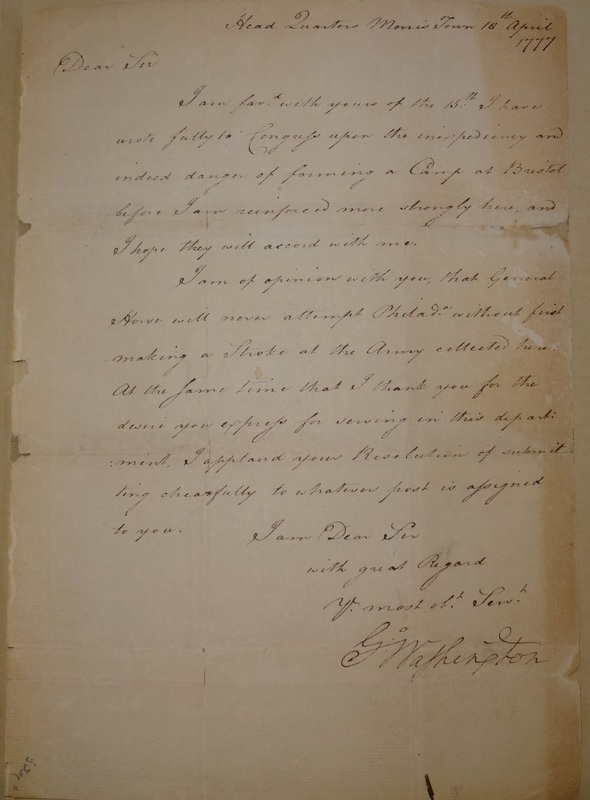 Perhaps the prize of both collections is a letter from General George Washington, written during the New Jersey campaign in 1777, that reveals the commander in chief’s understanding of the motives and tactics of his British counterpart, General William Howe. 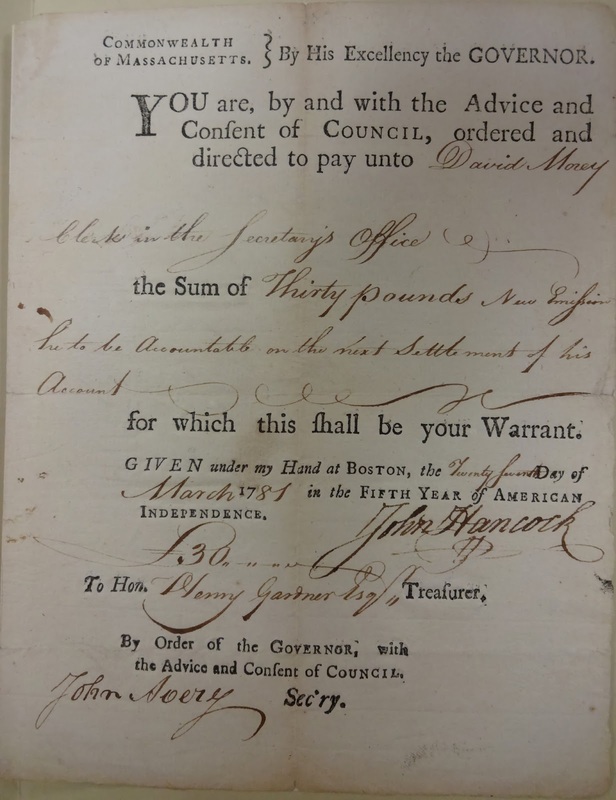 The scope of these documents reaches beyond the war itself, and is quite expansive across early American history, from the colonial era through the early republic—including a government form signed by Massachusetts Governor Samuel Adams and a colonial legal paper fining two individuals for fornication. 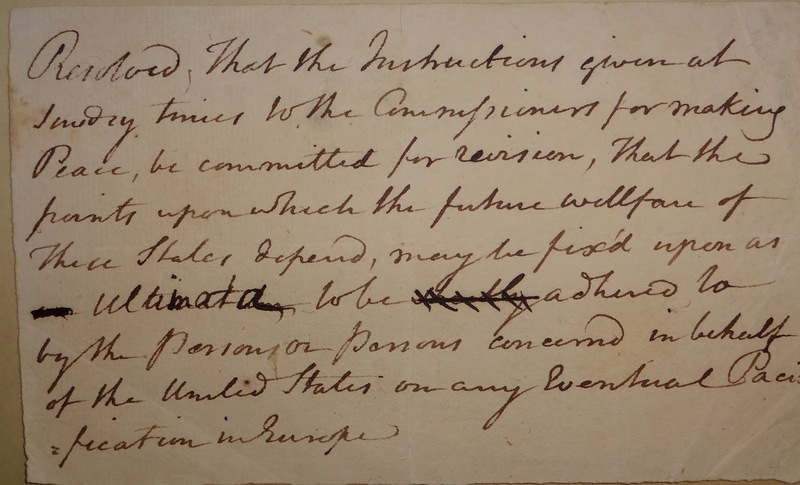 (2) These collections possess the opportunity to examine the old favorites or even a forgotten founder, like Charles Carroll, the last living signer of the Declaration, who is remembered more recently from the film National Treasure for possessing the clue to a hidden treasure. 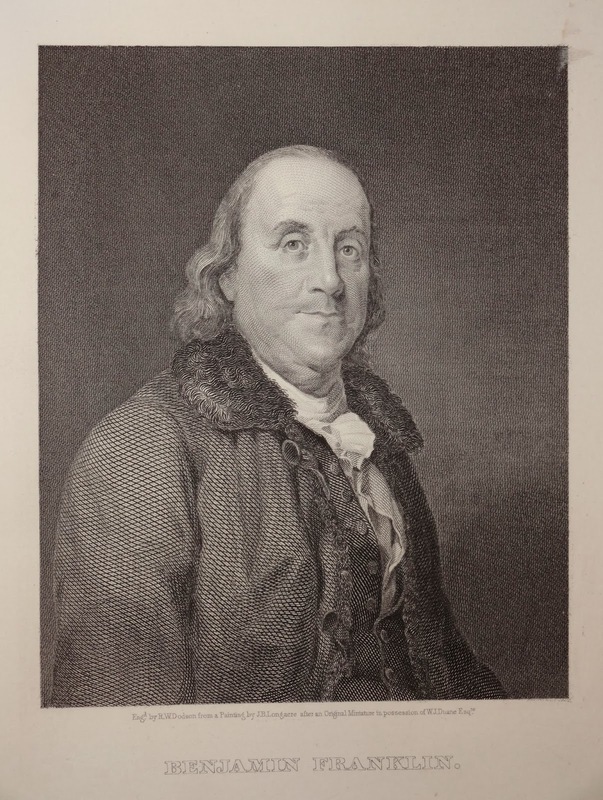 All fiction aside, who knows what secrets are ready to be discovered in the Signers of the Declaration of Independence and United States Constitution Collections? (1) Society of Bibliophiles at Brandeis to Philip D. Sang, 16 Dec. 1970; Brandeis University Bulletin in Robert D. Farber University Archives & Special Collections files; “Completion of a Stellar Gift: The Philip D. Sang Collection of Signers of the Declaration of Independence,” Octavo 1: Spring 1971, p. 9; David J. Steinberg, Roy Watkins, Bicentennial Exhibitions, 13 Sept. 1974, Related Materials, Signers of the Declaration of Independence Collection. 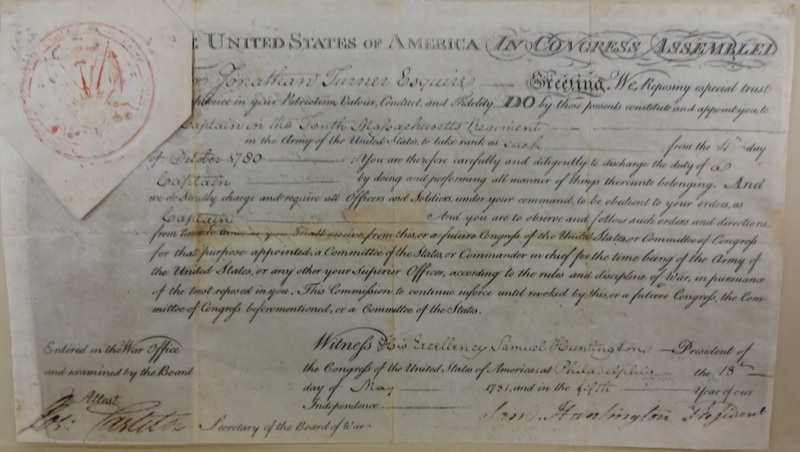 (2) All letters referenced can be found in Signers of the Declaration of Independence Collection or the Signers of the United States Constitution Collection.